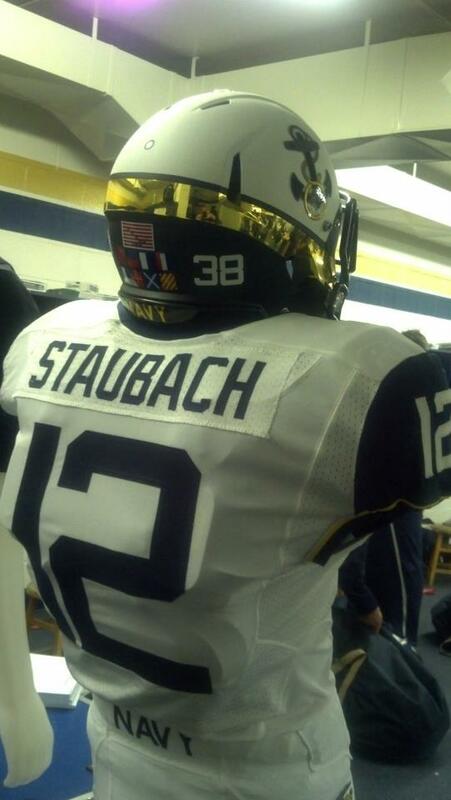 The Navy Athletics Facebook page just released the Midshipmen’s uniform for the upcoming Army-Navy game on Dec. 8. While the Military Times sports blog After Action has a first look at the uniform for both teams, there was one nautical detail we couldn’t help but point out. Eight signal flags on the back of the mids’ helmets spell “Beat Army,” according to ESPN. While many may miss the jab, it’s hard not to appreciate the subtlety.